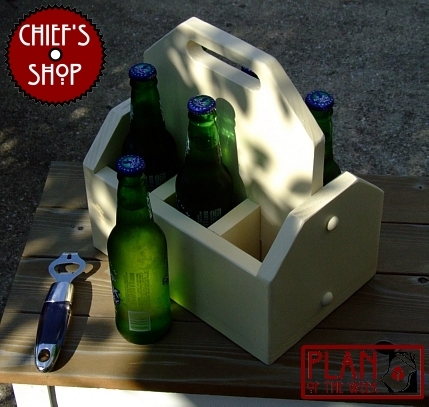 The Chief’s Shop Beverage Tote can be used for your favorite beverage, hard or soft, as standard glass beverage bottles will rest in it perfectly. Use it for an attractive countertop storage solution, or to transport your contribution to a party. Note: Some specialty brews use bottles with larger diameters than typical. Be sure to measure the bottle prior to making this project and adjust accordingly.